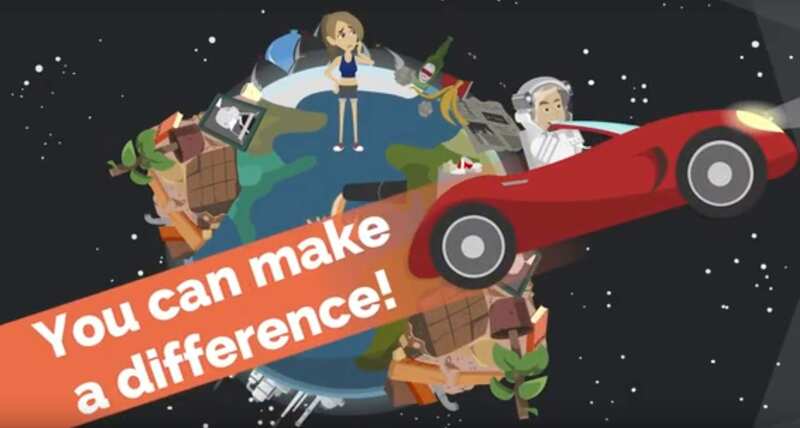 How can you and your child/ren change the world? 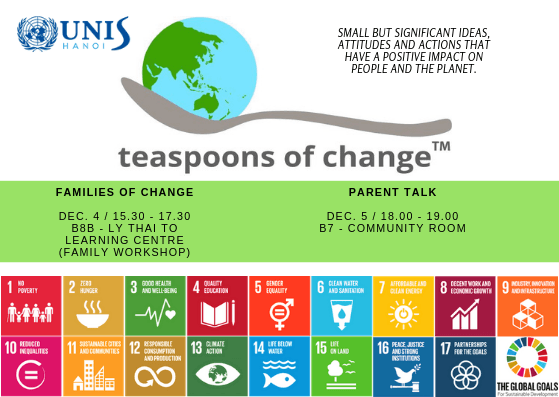 UNIS Hanoi is excited to host d’Arcy Lunn, a global citizenship educator and founder of the Teaspoons of Change movement, which makes the SDGs fun, accessible, and attainable. Some of our Elementary and Middle School students have been adopting this simple model to take action to achieve the SDGs. UNIS Hanoi has invited d’Arcy to work with our students, teachers, and parents to help make us all more effective change agents through two days of workshops and classroom visits. For families there will be a fun, interactive workshop for both parents and children (5+) after school on Tuesday, 4 December from 15:30-17:30 in the Ly Thai To Learning Centre (B8b). Register for the family workshop HERE. For parents interested in empowering your family as change agents, an evening talk will be held on Wednesday, 5 December in the Community Room (B7 Admin Building) from 18:00-19:00. Register for the parent talk HERE. d’Arcy is the youngest of 6 children from rural South Australia but for the last 18 years he has travelled to more than 90 countries as a global citizen educator, keynote speaker, communications specialist and youth leadership facilitator with the likes of UNICEF, Gates Foundation, WHO, World’s Largest Lesson, JUMP Foundation, Global Citizen and many others. d’Arcy has given almost 850 presentations to more than 75,000 people in the past 8 years and built two self-sufficient tiny houses. His favourite Global Goal is Goal 12: Responsible Consumption & Production.